So we decided to build a fund to better ensure our future, and at the same moment put deep time in your hands. We have created The Fund of the Long Now, a donor fund that we will invest in to help make Long Now a truly long-term institution. 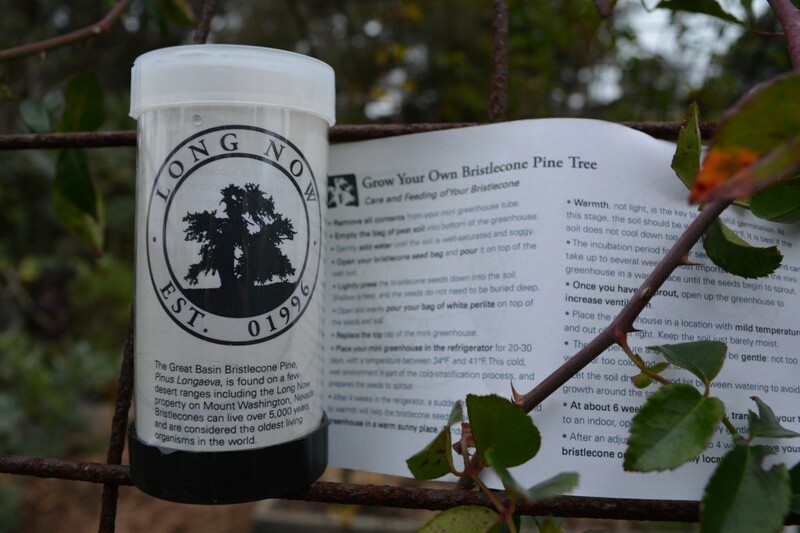 The Bristlecone Pine Kit that includes its own tiny greenhouse tube. As a thank you to those who provide tangible support to The Fund, we have made a limited edition set of Bristlecone Pine Tree Kits. These kits will be sent to everyone who can make a substantive donation. The bristlecone is one of the longest living species on earth, and a living symbol of our shared commitment to the deep future, whether we measure that in centuries or millennia. The Fund of the Long Now is being built to back up our promise to that future, and to support the operating budget of a truly long-term cultural institution. Once we reach $500,000, The Fund of the Long Now will go into active management that is specifically designed around long-term thinking. We have been testing the principles of the fund with our financial advisors for several years, and will continue to tune it as we move forward. 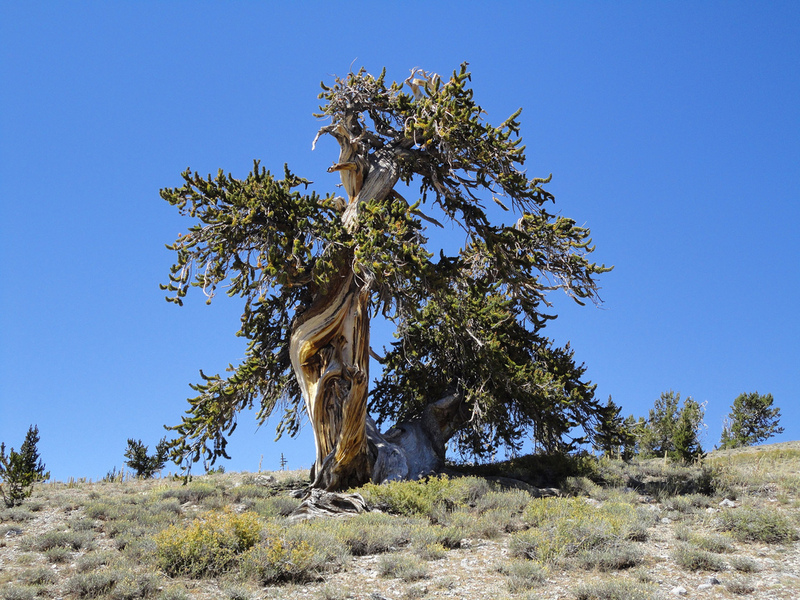 What your bristlecone tree will look like after about 5,000 years. Individual results may vary. The slow stuff is the serious stuff, but it is invisible to us quick learners. Our senses and our thinking habits are tuned to what is sudden, and oblivious to anything gradual. Between the near-impossible win of a lottery and the certain win of earning compound interest, we choose the lottery because it is sudden. The difference between fast news and slow nonnews is what makes gambling addictive. Winning is an event that we notice and base our behavior on, while the relentless losing, losing, losing is a nonevent, inspiring no particular behavior, and so we miss the real event, which is that to gamble is to lose. What happens fast is illusion, what happens slow is reality. The job of the long view is to penetrate illusion.